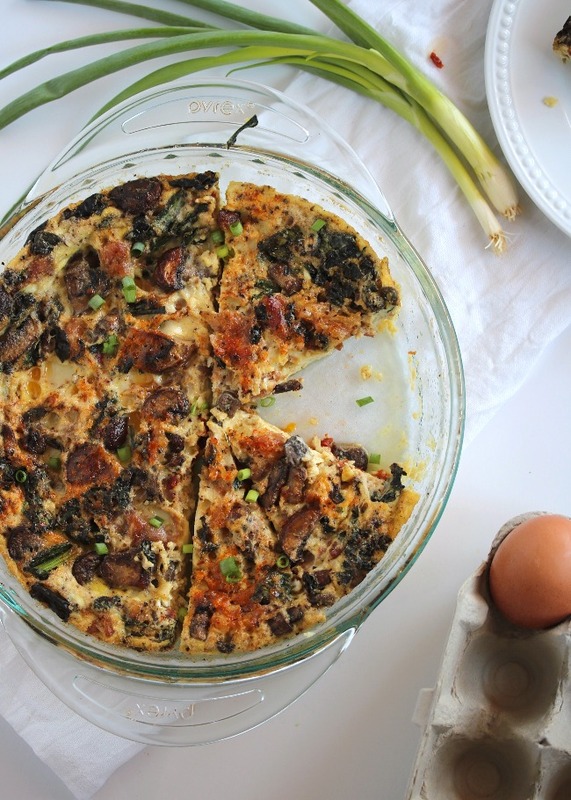 I love quiches & breakfast casseroles equally. But the high school cooking class student in me is also super aware that they are just not the same thing! 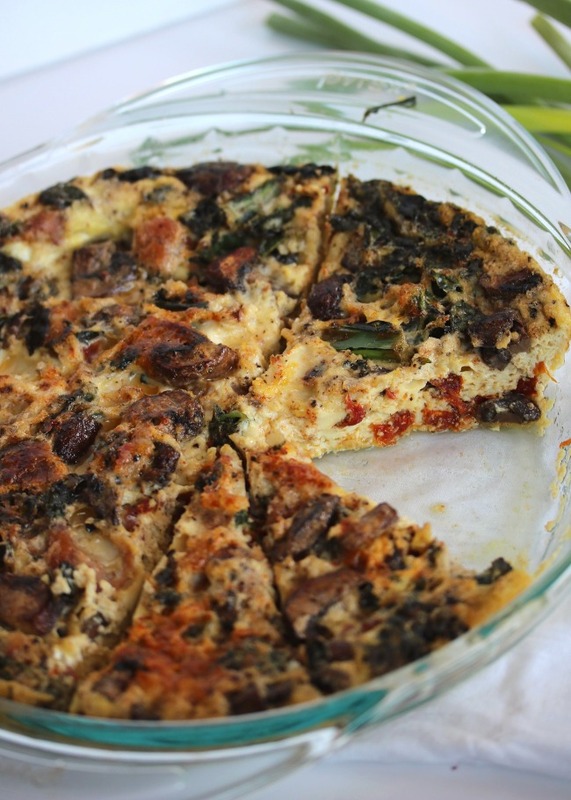 A quiche is a custard- said to have just enough eggs to set the milk. That gives it the creamiest most melt-in-your-mouth delicious texture and sets it apart from a more dense baked egg dish. Now you guys already know that I'm not here to share the classic forms of most dishes. That's already being done all over the internet by so many talented chefs who know far more than I do. But what I know about is taking these classic dishes that I love to eat, and turning them into a more Paleo-friendly, whole healthy food option. With all of the same yum factor. 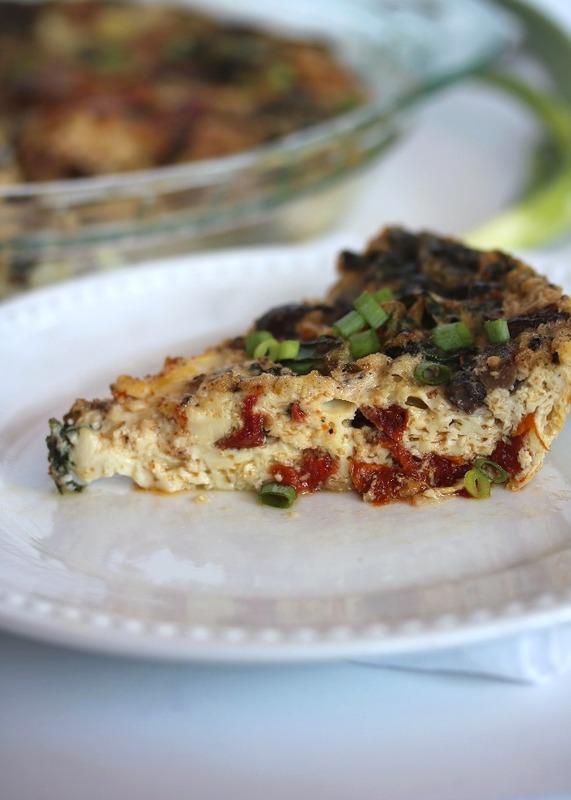 So while this quiche does not have the typical flaky crust, or some delicious milk, cream, and cheeses... it IS Whole30 compliant! 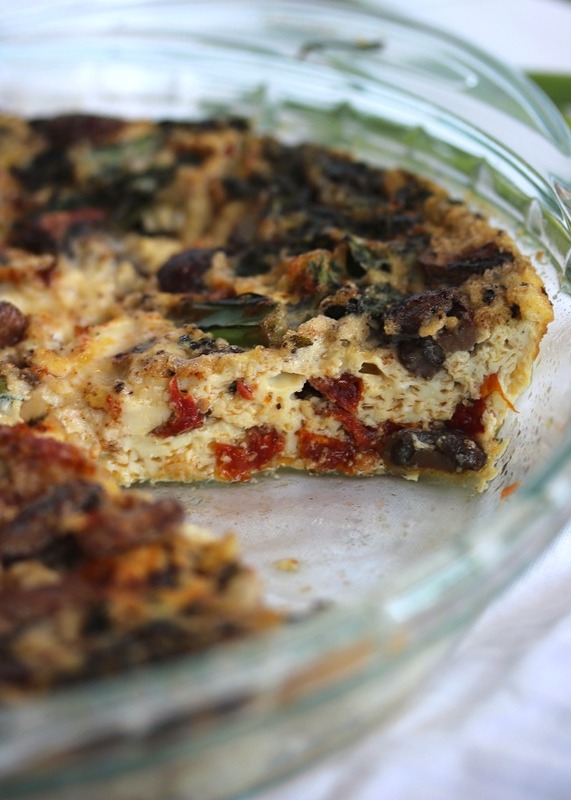 And full of so many vibrant flavors with that same rich quiche texture I love. Plus a few extra eggs- because what's Whole30 without extra eggs? 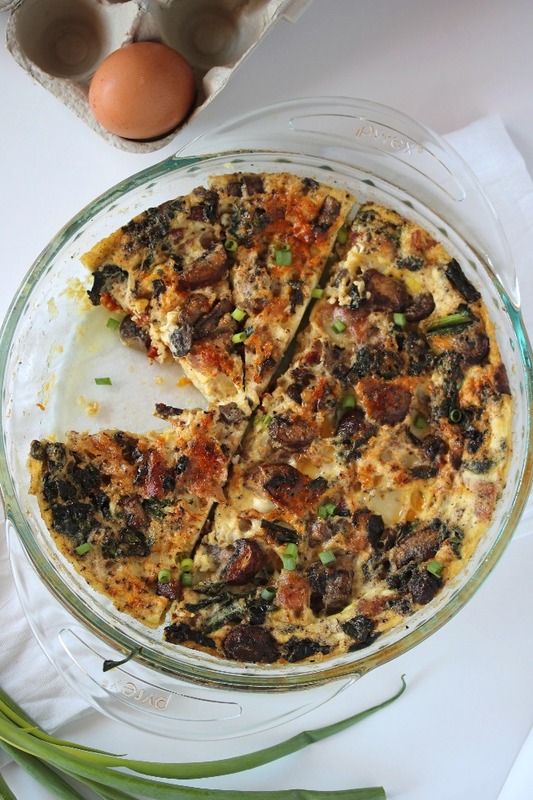 You can give this a try, Itaian-style like I did, with mushrooms, sun-dried tomatoes, prosciutto, and garlic. 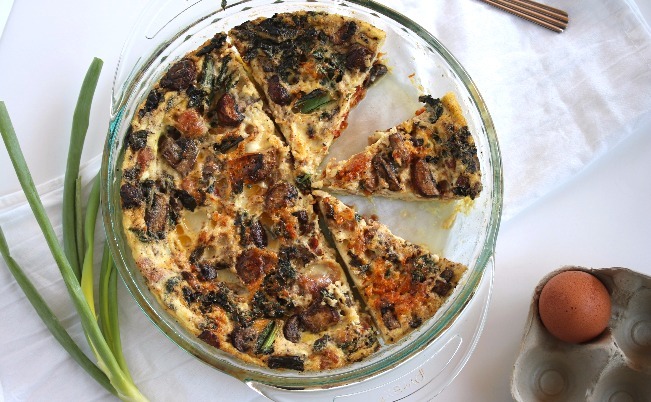 Or you can use the base of this recipe and substitute your favorite meats and veggies. Try bacon, spinach, and green onion. Chopped onion, asparagus, and prosciutto. Finely diced sweet potato and roasted peppers. The options are endless, but the end result is always the same: a light, fluffy, and creamy breakfast dish that is easy enough to prep for weekday meals, yet impressive enough to serve at a brunch. Preheat the oven to 325ºF. Grease a baking dish of your choice (at least a 9" diameter) with extra olive oil or ghee. Heat the cooking fat in a large skillet over medium heat. Add the spinach or kale, prosciutto, sun dried tomato, mushrooms, and garlic, and sauté for 5 to 6 minutes, or until vegetables are tender. In a medium bowl, lightly whisk the eggs. Stir in the coconut milk, whisking until smooth. Season with salt, pepper, and nutmeg, and stir again. Spread the sautéed vegetables over the bottom of the greased baking dish, then pour the egg mixture over top. Transfer to the oven and bake for 30 minutes, or until the center jiggles slightly. Cool to room temperature before serving, allowing it to fully set. Virtual Audio Cable TorrentExcellent and nice article. when user want to get important information then visit our site. What do you do if your coconut milk separates in the can? Do you blend it first before adding it?